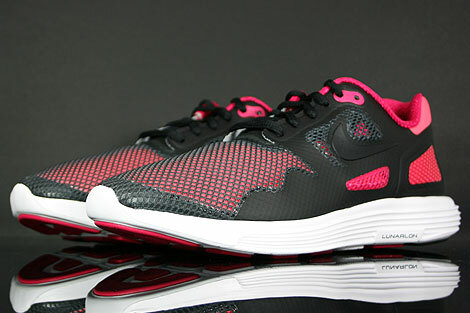 The second colorway of the Nike Lunar Flow featuring an ultra-lightweight mesh upper in black and a springy Lunarlon cushioning midsole in white. 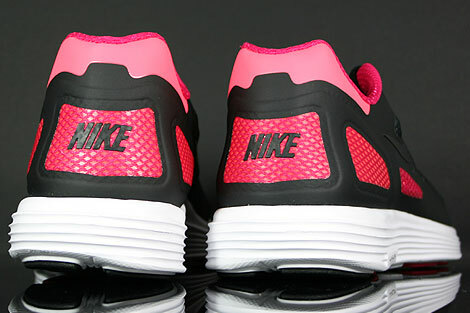 With the fuse technology that helps to reduce the overall weight, while bold colors add a pop and is completely ready to run. 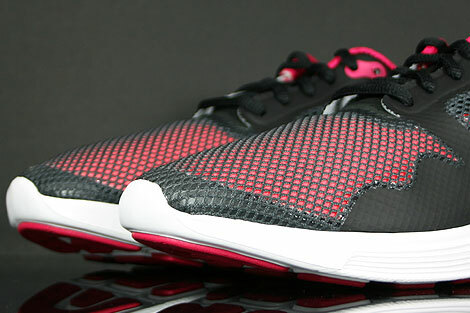 Cool highlight will be the mesh upper with Fuse technology for enhanced breathability in black colours or the mesh inner lining in voltage cherry. 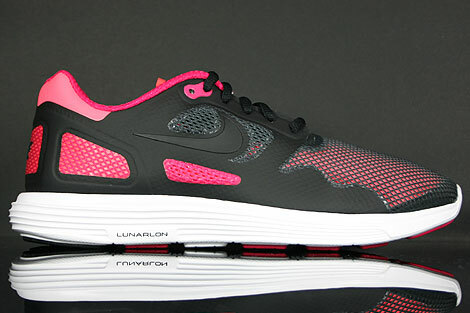 The Lunarlon at the midsole in white for lightweight cushioning. Flex grooves at the outsole for enhanced flexibility and a more natural range of motion. 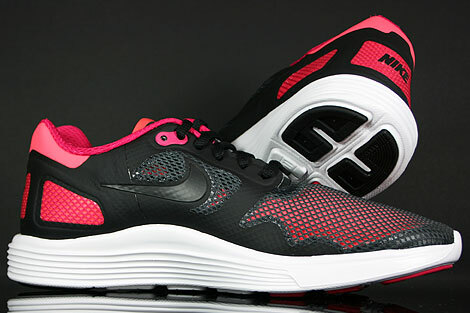 It is built with Hyperfuse technology, a ground-breaking process that fuses three different layers of material in black or voltage cherry to create a nearly seamless, one-piece upper. 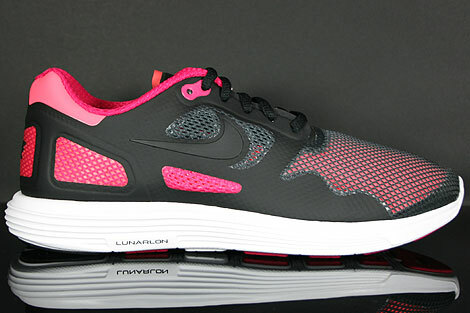 The result of the Nike Lunar Flow+: Zones of ventilation combined with durability and stability, right where you need them. 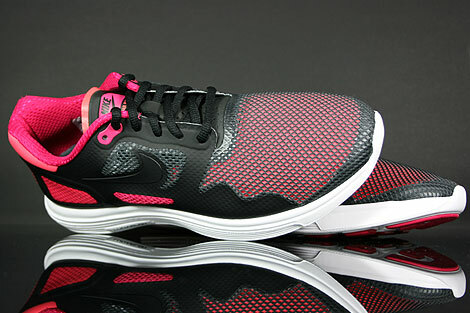 And because Hyperfuse construction almost completely eliminates stitching, you get a seamless fit and feel.